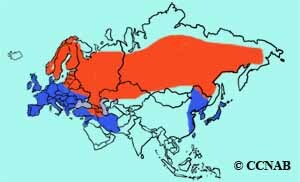 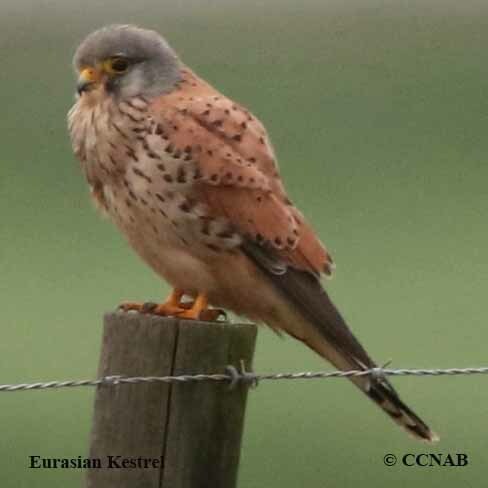 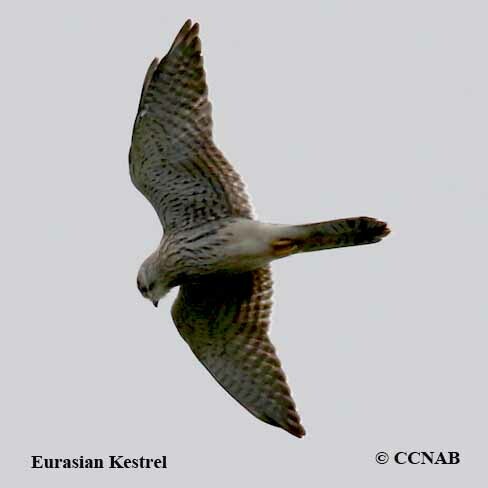 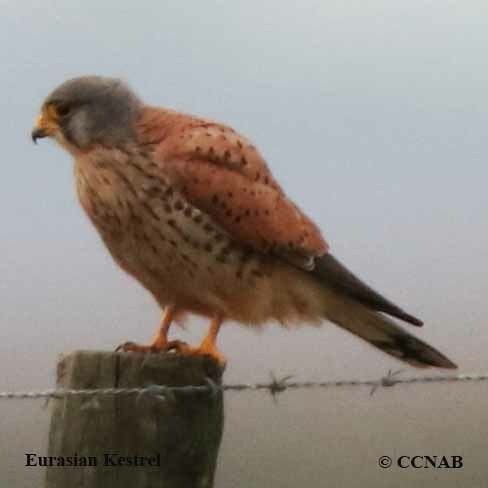 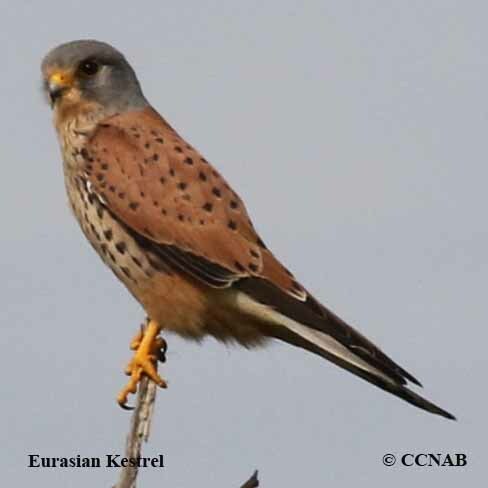 The Eurasian Kestrel is a very common bird of prey throughout Eurasia. 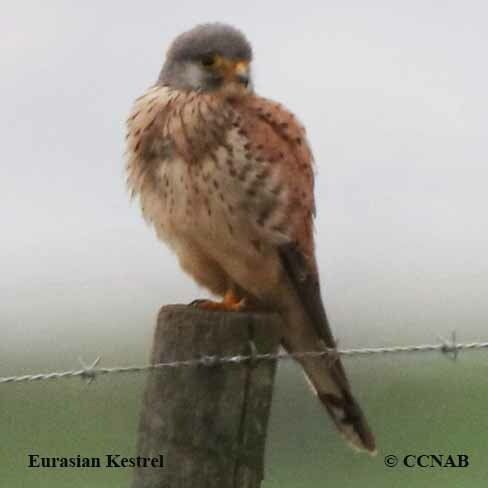 This small orange coloured falcon, seen with a grey hooded head is quite similar in appearance to the American Kestrel. 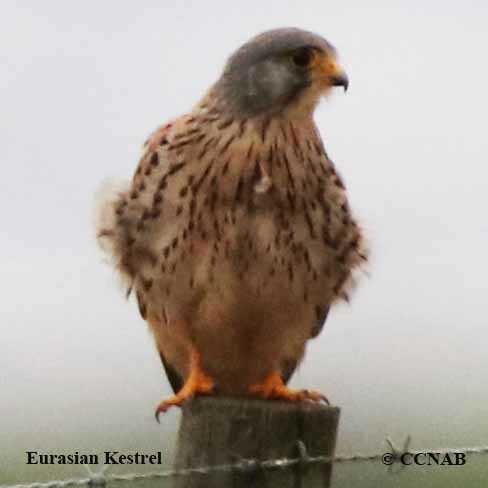 It has shown up along the Atlantic coastlines of North America, and is recognized as a vagrant.